Every now and again I read a book and immediately begin reading it again, often skipping around here and there to make sure I haven't missed a thing. Acclaimed author Carol Bradley's latest book called "Last Chain On Billie: How One Extraordinary Elephant Escaped the Big Top", with a Foreword by the remarkable Dame Daphne Sheldrick, creator of the David Sheldrick Wildlife Trust in Nairobi, Kenya, and author of the critically acclaimed "Love, Life and Elephants: An African Love Story", is one of those books to which I'll be returning for a long time. 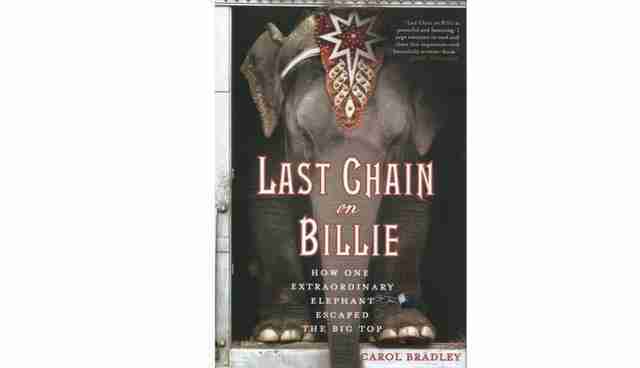 "Last Chain on Billie" is much more than a beautifully written biography of Billie, a magnificent elephant being. As Ms. Bradley writes about the horrific abuse to which Billie was routinely and wantonly subjected for decades as a performing elephant, she weaves in an incredible amount of information on the reprehensible and widespread cycles of horrific abuse to which other elephants and far too many other animals are subjected daily -- often minute-by-minute throughout long arduous days of "training" -- as their hearts and spirits are broken and they are forced to perform stupid and unnatural tricks to make money for gawking audiences made up of numerous individuals who do not know what really goes on behind the scenes. You can read all about Billie in Ms. Bradley's book, and summaries of her life can be found here. Born in the wild in India in 1962, Billie was brought to the Southwick Zoo in Mendon, Massachusetts, in 1966. 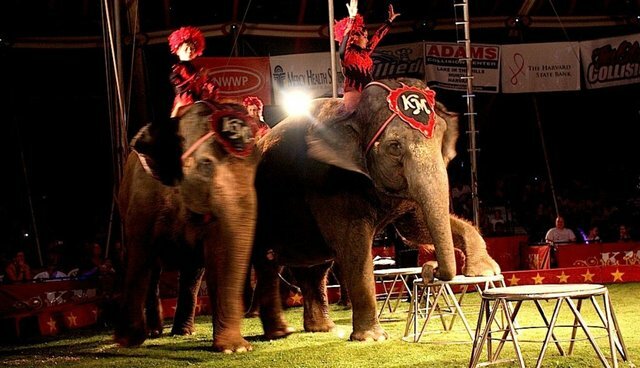 In 1972 she was sold to the circus industry and endured a life of egregious abuse until she became the twenty-first resident of The Elephant Sanctuary in Hohenwald, Tennessee, in 2006, after living for 13 years in a tiny stall in a Hawthorn Corporation barn in Illinois because she was declared dangerous. Billie's recovery is truly miraculous. Of course, it wasn't easy, and "Last Chain on Billie" provides all of the gory and heart-warming details. After years of rehabilitation, Billie still is occasionally angry, but who wouldn't be after being unrelentingly tortured for years? I know most readers want to know why Ms. Bradley's book is titled as it is, but I don't want to ruin the story so I'm not going to tell you why. It's easy enough to find out in any number of places. However, I strongly encourage you to read the book until the very last sentence. The long version endorsement I wrote for "Last Chain on Billie" when I read the proofs in February 2014 reads as follows. "Last Chain on Billie" is a fact-filled page-turning biography of a magnificent circus elephant's long, painful, and unpredictable journey from reprehensible confinement to freedom. It is at once riveting, haunting, and inspirational. Billie's story kept me up at night -- tearful and joyful -- as she entered and then wouldn't leave my heart. I also was deeply moved by the selfless work of the wonderful people who ultimately were able to free her once and for all so she could live out her life in safety and peace and with the dignity she so deserves. This outstanding and groundbreaking book will make a difference for other circus elephants and other 'entertainment animals' who find themselves living horrific and hopeless lives filled with fear, stress, and uncertainty. It gave me hope. Now, after reading through it again, not only do I stand by all that I previously wrote but also realize that I should have said, If you read only one book on the brutal abuse and remarkable recovery of animals in entertainment, this is the one to read. It really is that good.